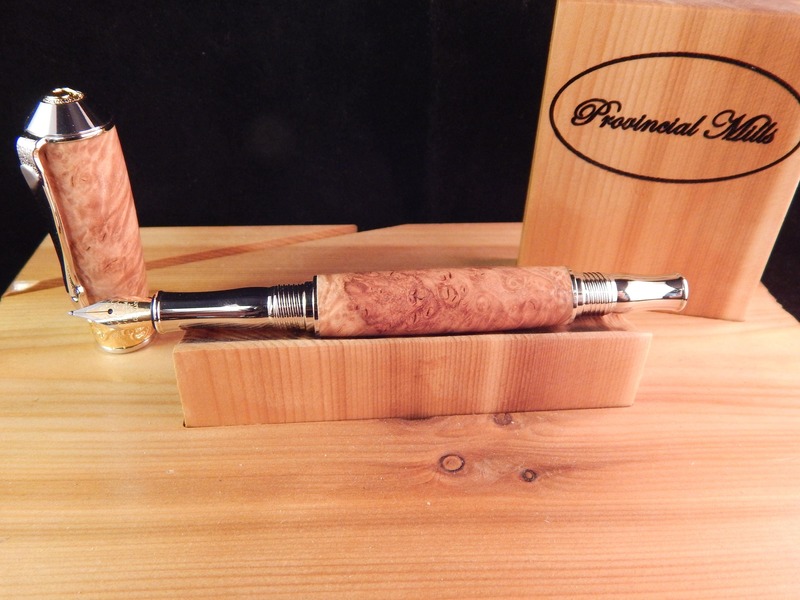 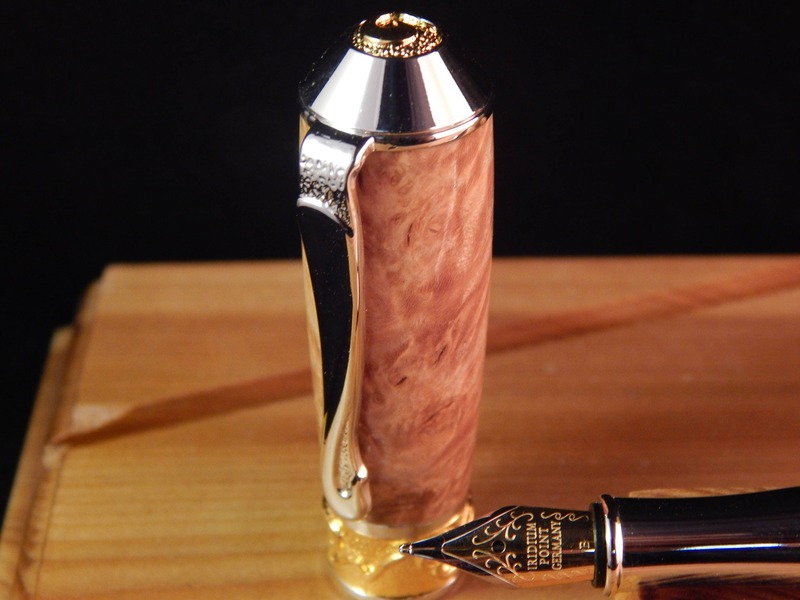 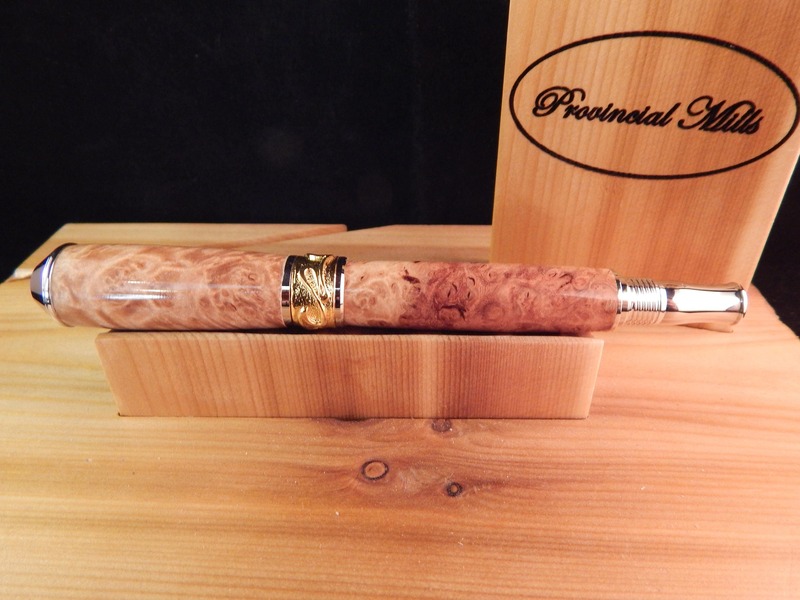 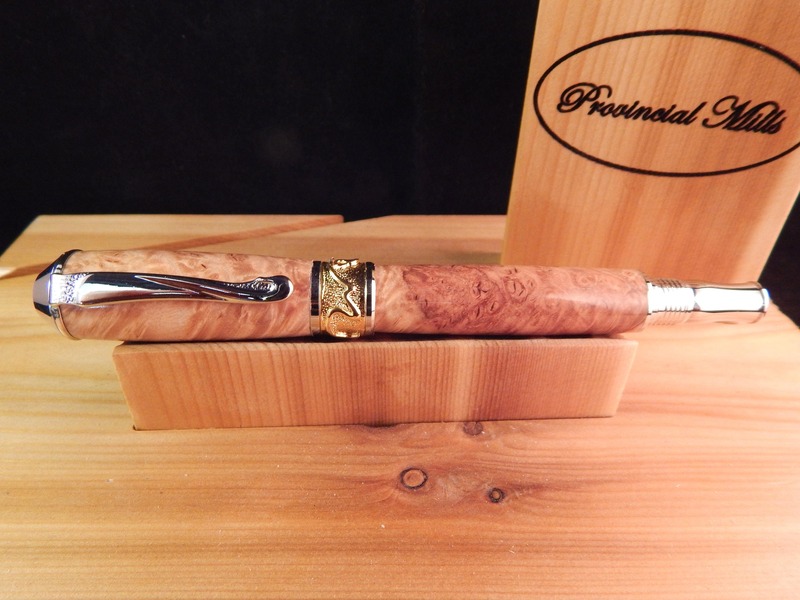 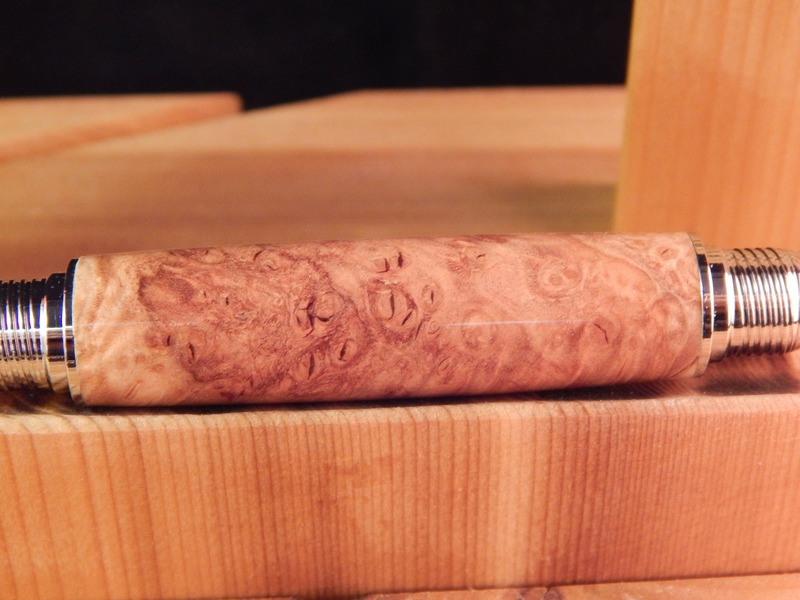 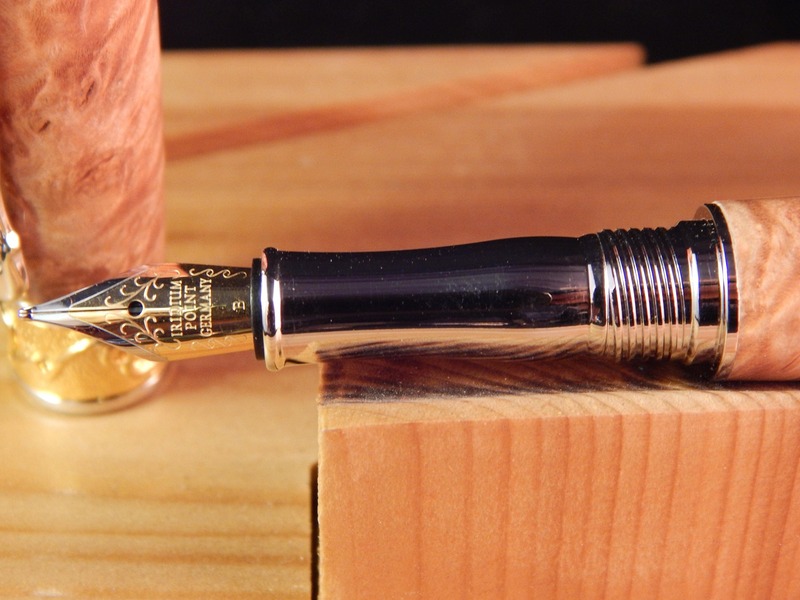 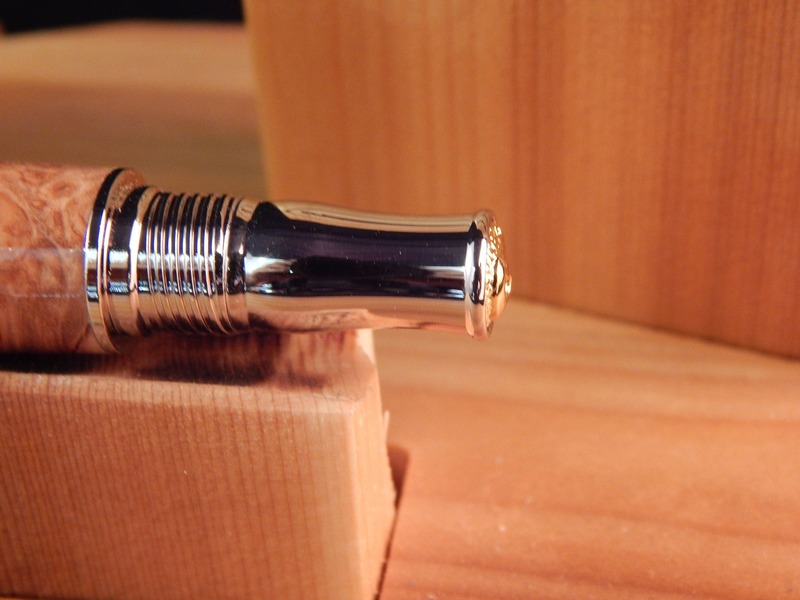 This Nouveau Sceptre fountain pen was crafted from maple burl and matched with rhodium and 22kt gold fittings. 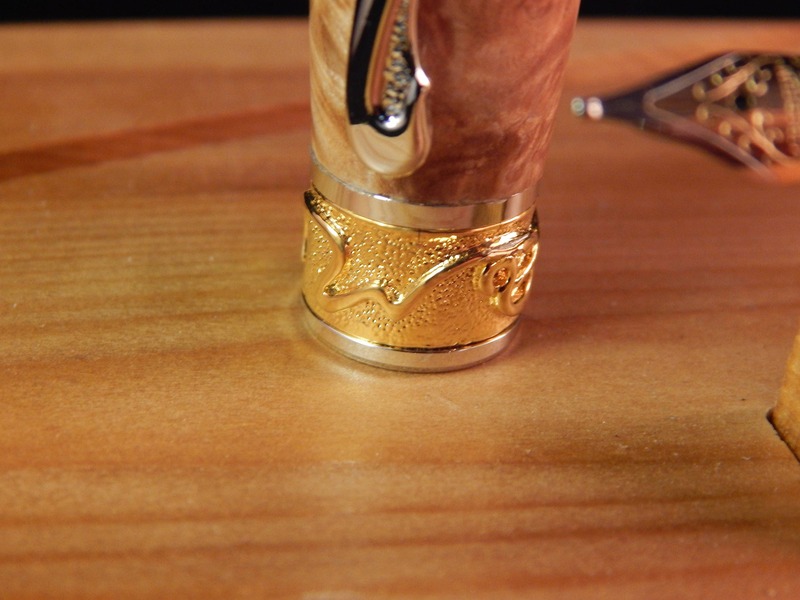 All exposed accent rings, bands and caps include elegant custom casted 3 dimensional Art Nouveau designs. 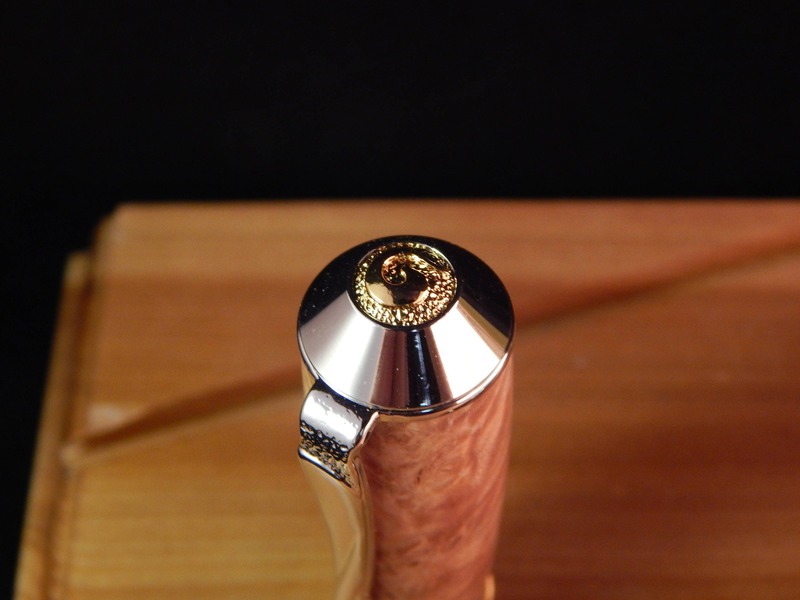 Components are cast, polished and plated with a durable 2 micron 22kt gold plate and Rhodium. 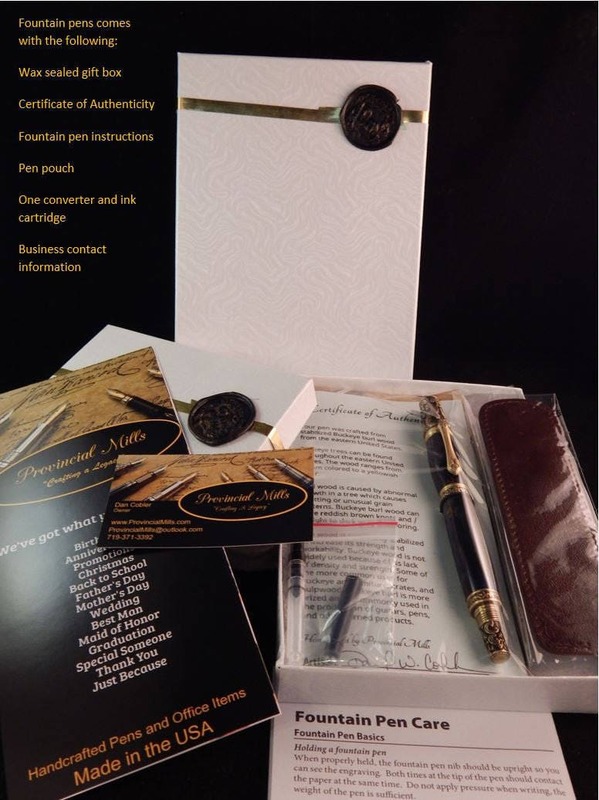 This fountain pen has a schmidt medium gold and iridium nib and comes with one ink cartridge and one ink pump / converter.